If you have registered you should have received a confirmation and reminder email since October 25th. If you have not received an email please check your spam folder, or if you have any questions, please email Debbie Dennick or you can reach her at (916) 278-4497. Check-in will be held at the University Union outside of the Ballroom. It's recommended that you park in Parking Structure II. You view and download a campus map at www.csus.edu/campusmap/. The Next Generation Science Standards (NGSS) have arrived – is your elementary school ready? Spend a day learning more about the standards and about the teaching shifts that go with these new standards. 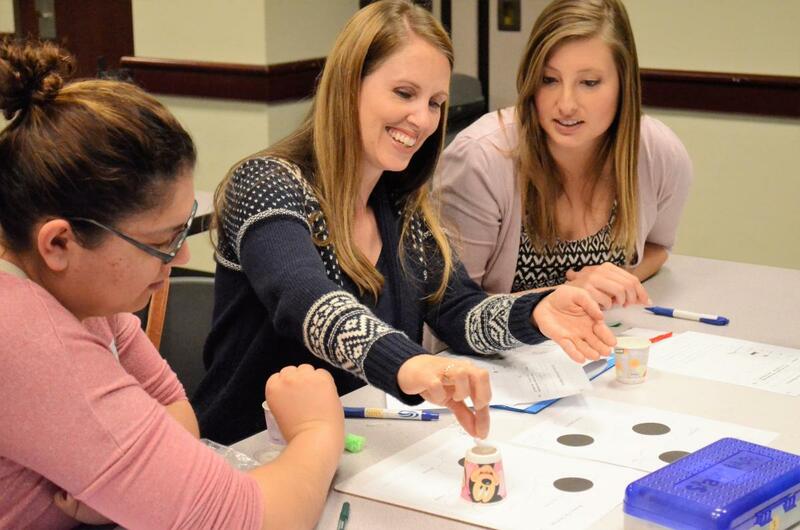 This conference is for K-6 teachers, site administrators and district personnel who are looking for ideas on implementing NGSS in their classrooms and school sites. Any cancellations must be received prior to October 25th in order to receive a refund. Cancellations before that date will incur a $10 processing fee. If paying by Purchase Order, a hard copy is not required to register, but you must have approval from your district, school principal, or school secretary for the funds AND the contact information for that person must be provided during the registration process. This workshop is for those who already understand the structure of NGSS and its three dimensions. Explore the effects of pushes and pulls with a series of small investigations appropriate for kindergarten students. Learn how to structure student-driven investigations with limited materials and time. In this lesson, 2nd grade students explore whether changes are reversible or irreversible. Students explore wave patterns using ropes and make sense of the phenomena they observe by using iconic signs that serve as visual models with which they communicate their understanding to each other. Explore acids in your kitchen and cupboards! We will use familiar children's toys to explore the relationship of energy and speed. Be blown away by this engaging engineering project that uses everyday office supplies to further students' understanding of weather forces. This lesson explores data about climate change to compare potential causes for the warming of Earth. How do the oceans affect temperatures on Earth? How do those differences affect where water travels? Explore just what technology and engineering mean in the primary grades. How can we harness the power of the wind? This workshop connects science with engineering. This panel of site administrators will share their experiences to date with implementing NGSS at their site and their plans for the future. Bring your questions and ideas to share. This panel of district and county office administrators will share their experiences to date with implementing NGSS at their site and their plans for the future. Bring your questions and ideas to share. Learn techniques to help elementary students gain foundational skills in questioning, science discourse and sense making. The best engineering lessons should grow naturally out of the science concepts that students are learning. Find out more about the engineering design process. Reading, writing and dialogue are all ways for students to make sense of their science experiences. Learn how to integrate dialogue and literacy strategies into science instruction.